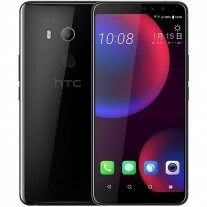 HTC confirmed that the U11 EYEs will make its debut next week on 15 of January but spared any details. Now, thanks to Evan Blass, we get the a comprehensive list of the device's specs. The HTC U11 EYEs will be built around a 6-inch LCD3 screen of 1080x2160px resolution. It will be powered by a Snapdragon 652 with 4GB of RAM and 64GB of onboard storage with an option for microSD expansion. The phone will be water and dust tight (IP67) and will have a single USB-C port. The U11 EYEs will have HTC's Edge Sense which lets you toggle functions and settings through a squeeze of the sides. 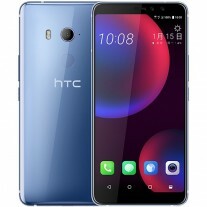 The battery is a 3,930mAh unit, just like on the HTC U11+. The U11 EYEs will launch with Android Nougat. It will be available in Black, Silver and Red and will likely cost CNY 3,300 (or around €420). 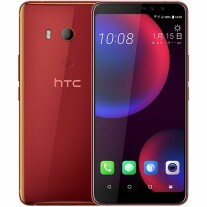 Rumor has it the HTC U11 EYEs will be available in China, Hong Kong and Taiwan, initially.